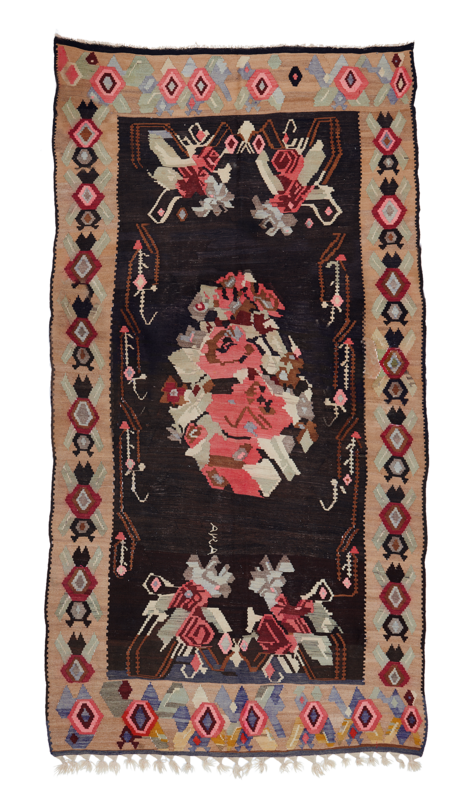 Impressive kilim, circa 1930, from Southern Caucasia. Wool on wool. Main background comprises the undyed natural colours of the local sheep. The floral/rose motifs were very popular in this region at the beginning of the century. Good quality colours (with various abrash) and intricate detail. Signed.